Unfortunately, many employers miss the mark when it comes to making the right hiring decisions. “Hiring managers confess that nearly 50 percent of new employees do not fulfill their job obligations in the first 18 months of employment based on research conducted by Leadership IQ,” according to Business Insider. In previous posts, we’ve looked at some of the challenges with traditional assessment methods, as well as some alternative methods. Here, we’ll talk about some specific skills-based and personality-based assessments. In an article for Entrepreneur, Miles Jennings discusses a number of different assessments in each category. Berke categorizes skills relative to particular jobs and conducts an assessment to provide an overall percentage match or job fit for the candidate taking the assessment. Interview Mocha has a library of more than 1,000 assessments and has some very large clients, such as Sephora and Credit Suisse. Jennings writes that Interview Mocha’s broad range of assessments includes anything from skills in Amazon Web Services and SAP to social media marketing. Lytmus seeks to provide real-world assessments based on actual job tasks as opposed to brainteasers used to get vague ideas of generalized skills. “Big Five”, is also known as the “Five Factor Model,” and it focuses on the association between words as opposed to neuropsychology. The five factors are openness to experience, conscientiousness, extraversion, agreeableness, and neuroticism. Each factor is measured between two extremes (i.e., extreme extroversion to extreme introversion). DiSC Theory, which stands for dominance, inducement, submission, and compliance. The theory was first proposed by William Marston, who examined each of the DiSC types within the context of the individual and his or her environment. Specifically, was it favorable or not, and was there control of that environment or not? StrengthsFinder/CliftonStrengths, created by Don Clifton, the idea is to forego the traditional focus on improving weaknesses and instead put increased emphasis on improving and leveraging existing strengths. It’s a model that has been widely supported by the Gallup organization. There’s no crystal ball for finding the perfect candidate to fill an open position. Employers have experimented and struggled with a variety of assessment methods over the years. 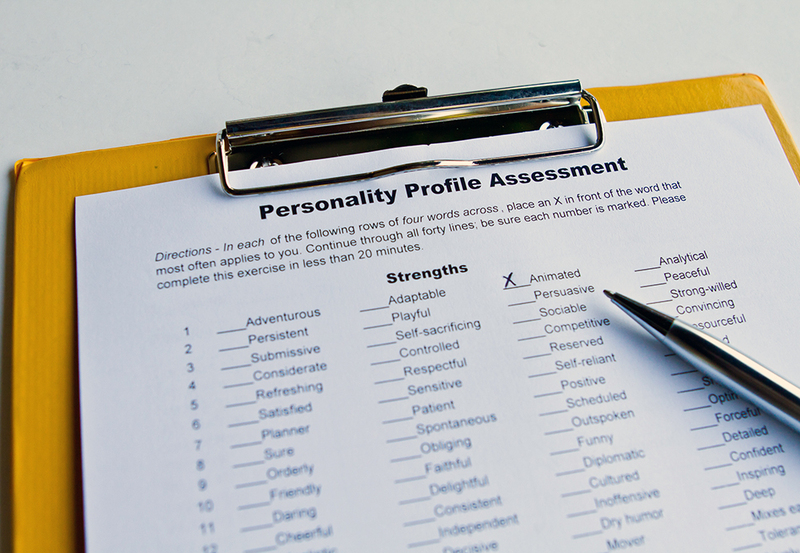 Here, we’ve discussed some of the pros and cons of skills-based and personality-based assessments. In our final post on this topic, we’ll look at strategies to help prevent employees trying to game the system.